Still thinking about picking up some passes to the Coachella Valley Music and Arts Festival kicking off in Indio tomorrow? 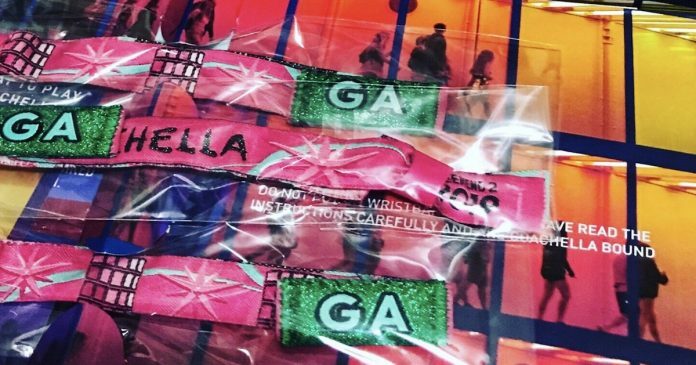 You are in luck – as wristbands are being sold for far under face value on the resale market. As of noon on Thursday, Weekend One General Admission passes were listed for as low as $247 on Stub Hub. Even after service fees are added, the price for tickets ($301) still comes in far below the $429 (plus fees) they sold for originally. Shuttle passes were also going for far below the listed price of $75 – with some listed for as low as $22. And it’s not just Weekend One, tickets for Weekend Two were listed as low as $284 as of this posting. Good news for those who waited, bad news for those who were looking to get rich by scalping tickets.